**Completed a Wii Set. 1/26/17** See Last Post for Pics! **Built Sega Game Gear/32x shelves! 4/17/13*** See Last Post for Pics! **Huge Picture Update! 12/18/12** See Last Post for Pics! Last edited by NintendoTwizer on Thu Jan 26, 2017 5:01 pm, edited 7 times in total. Dude. Like wow. Its so clean and neat! May I ask your reasoning by putting some of the boxed games up on the shelf above the tv? Are they favorites? They didn't look particularly rare. wow man that is a wicked awesome collection! Forlorn Drifter wrote: May I ask your reasoning by putting some of the boxed games up on the shelf above the tv? Are they favorites? They didn't look particularly rare. I'm guessing he has a thing for Mario and Zelda. Ha, yep. I love the Mario and Zelda series. I grew up playing both, so they get a special shelf. The shelf holds all the game releases of those series from the 1980's until today. 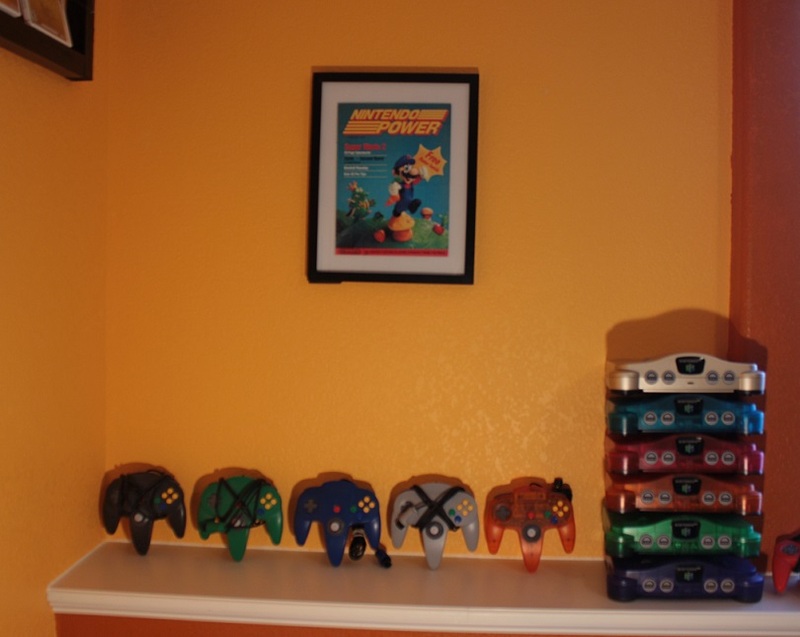 As for all the N64, I'm working on getting all the different colors, I'm not sure why, it just sounded fun. Very nice and very clean. Thumbs up for you! Very accessible layout and a very thorough collection. I think I even see some famicom games. I am curious how you get the gameboy games out of that mountainous stack though. DinnerX wrote: Very accessible layout and a very thorough collection. I think I even see some famicom games. 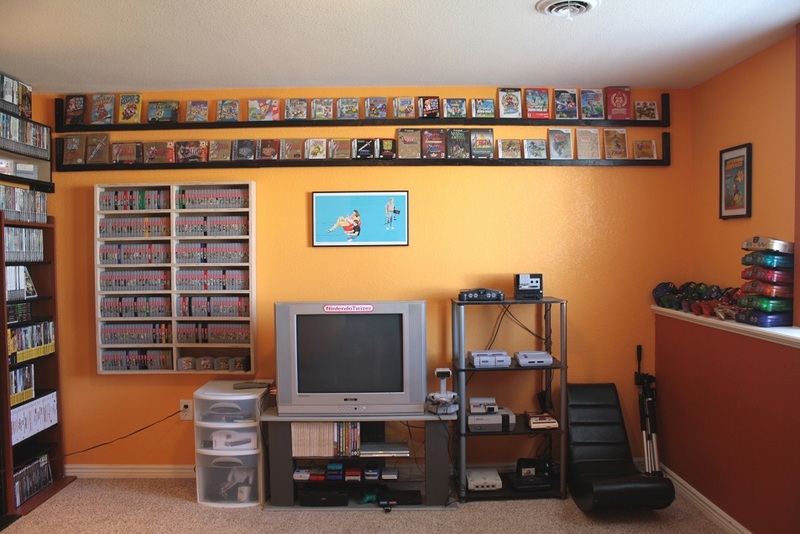 That's badass, nice game room and collection! 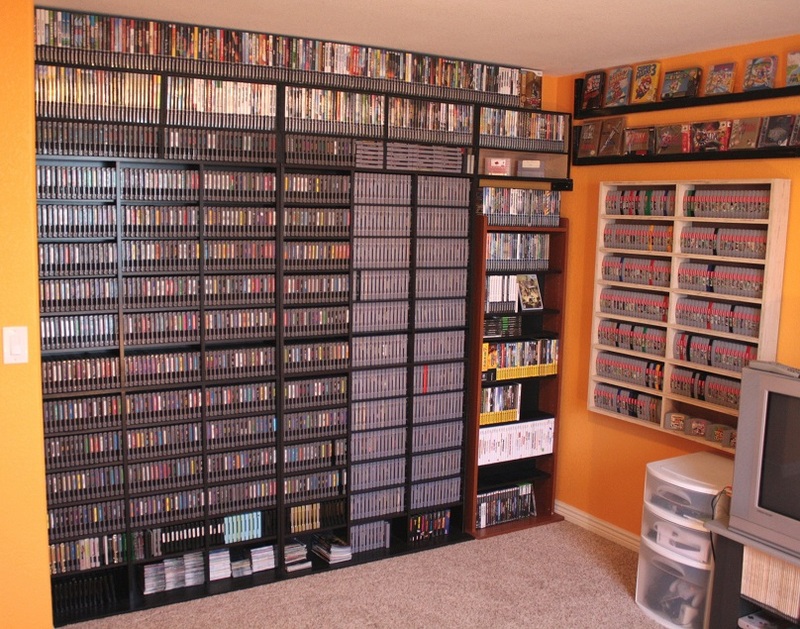 and that is one imposing wall of games you have there too!